Pretty gift for a pretty person as this Delightful Birthday Presents Gift Basket will convey your message how beautiful the person is to whom you gift it. 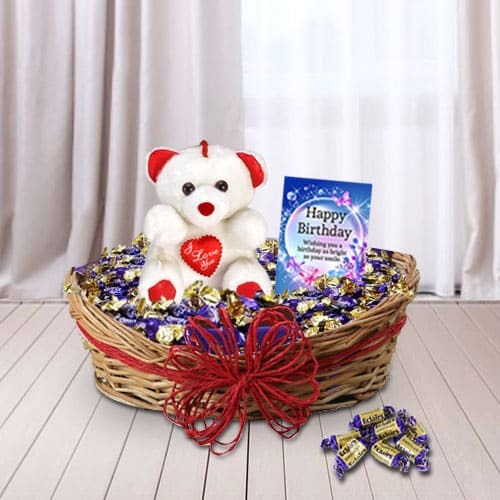 This Basket will make an ideal Birthday gift as it features Eclairs Chocolates, cuddly Teddy Bear, Rs. 100/- CCD Voucher with Birthday Wishes Card.